It’s been over two and a half years since Amor Towles’ sophomore novel A GENTLEMAN IN MOSCOW was released in hardcover by Viking, with over 1.5 million copies sold in all formats. 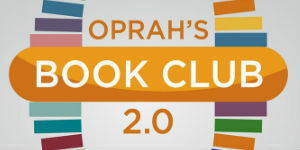 It was a New York Times hardcover bestseller for 59 weeks and on the National Indie Bestseller list virtually every week since it was published, through the end of 2018. 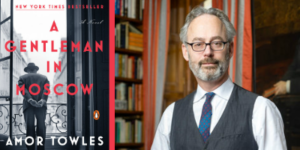 With the long-awaited Penguin Books paperback publication of A GENTLEMAN IN MOSCOW on Tuesday, March 26, the story of Count Rostov is poised to reach more readers than ever. If you haven’t already fallen in love with The Count as so many did in 2016, now is the perfect chance; the novel is a pure pleasure to read, full of wonder, humor, intrigue, sophisticated storytelling, unforgettable characters, and exquisite insight into human behavior. 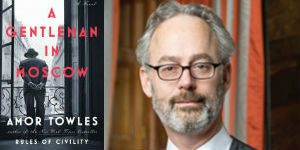 Towles’ first novel, RULES OF CIVILITY, published in 2011, was also a New York Times bestseller and named by The Wall Street Journal as one of the best books of 2011. The author kicks off his 7-city national tour on Tuesday, April 2, starting in Salt Lake City. Towles will be in Brooklyn on Friday, April 5 for a 7:00 – 9:00 pm event at First Unitarian Church with Books are Magic. For more information, click here.